titular heroine Makoto Konno gains the ability to physically leap and land in a chosen point in her past. Initially she uses the ability as an instrument of escapism, spending her time pursing inconsequential activities and goals. As chaos theory, unintended consequence and the momentum of life conspire to confront Makoto, she is forced to make more significant alterations. What was light hearted, laugh out loud, slapstick hardens into gut twisting drama. As the compounding repercussions become evident, the film taps into powerful emotions felt either in retrospect or in anxiety when concerning the effects of action and inaction in the pivotal moments of one’s life. I haven’t yet come across a fansub, though I’ve read that at least group is planning to work on it once the DVD is available in mid-April. I really hope that Tokikake is licensed and given a proper theatrical release in the USA. All indications are that it’s superb. As far as I know, it’s not out on the torrents yet. Though you might find the 1983 live-action version around, but I haven’t seen it yet. Yeah, this one has been on my to-watch list for some time now. Hell, there’s quite a few animated movies that I’m wanting to watch coming out this year. Should have read the comments before I wasted time looking for it. Don is right, the DVD release is set for April 20. I suppose it might get subbed soon after that, if it isn’t licensed here first. I got to see this at a special showing at a conference at MIT — not on film, alas, but only via a screener DVD (which had subs — though the official Japanese DVD will exclude these) with a Kadokawa logo in the upper left corner throughout. Director Hosoda (who attended the screening) said Kadokawa would even let him have an un-watermarked copy. It was quite charming — considerably better than the 1983 live action film. The heroine is sort of a cross between Miyazaki’s spunky heroines and Takahata’s more “real-seeming” ones. 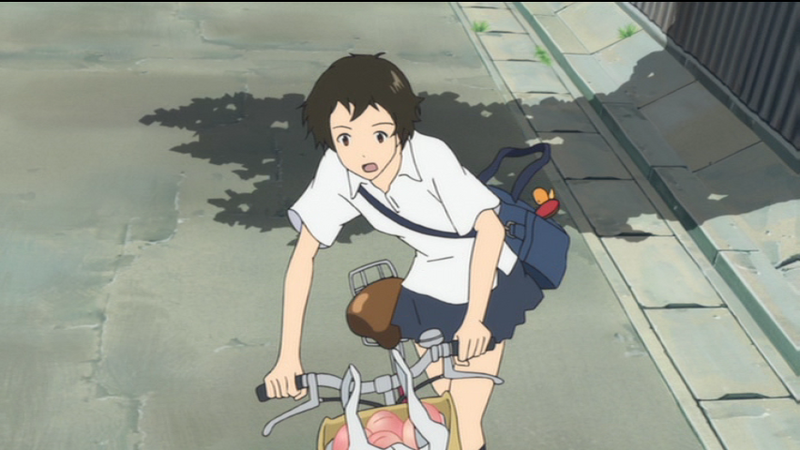 If Hosoda was out to “get revenge” on Miyazaki for being dumped from “Howl’s Moving Castle”, he did a good job. This probably is a better film than “Howl” (which I did like overall) — and it did far better at the Japanese box office than the latest Ghibli (the Earthsea adaptation). I can’t believe I’m ahead of a curve for once! I guess there’s nothing for it but to wait for April. I also can’t help wonder what kind of movie Howl would have been, could have been… the way people rave about TGWLTT, it seems that it exceeds the miyazaki animation standard easily. I don’t think this film”exceeds the Miyazaki animation standard”. It is better than “Cat Returns” and (by report) the new Earthsea film — but not technically better than films such as “Spirited Away”. 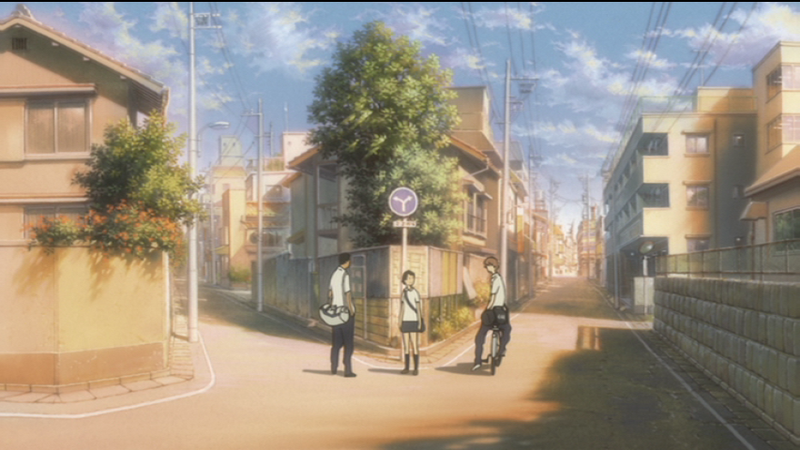 The heroine here is a charmer — pretty equal to those of “Only Yesterday” (young Taeko), “Kiki”, “Whisper of the Heart”. I am not certain how well this film will come across on DVD if one does not understand Japanese. It is utterly silly that Kadokawa is not planning to include subs on their commercially-released DVD. well, obviously I haven’t seen it, but the review at AICN really lauded the fluidity and natural-ness of the animation. I dunno. No subs on the commercial DVD? I suppose the fansubs are worth waiting for anyway; that was my experience with Kino’s Journey, far superior, and that’s also apparently the case with Kamichu. Julian, would you mind commenting with some details about what that tracker link leads to? or provide the link to the torrent on mininova (not everyone uses Azureus; I’m a utorrent guy myself). Gah! My mistake, I apologize. I hunted so hard for a fansub, I found something else that seems to share the same title in Japanese. Please forget the link above, it points to a different movie. Well — I ordered the Japanese DVD — and will keep my fingers crossed, hoping for a subtitle script to turn up. Supposedly, the raw movie is floating around the torrents already. I haven’t heard of any subs being released yet, though. Otherwise, if I find an existing subtitle script for the movie somewhere, I’ll share it here. I wish I was more capable — as there are many films that I love that I am unable to show off to others — due to the lack of subs. I really do respect the effort of those who do subtitles. I have transcribed all the written (in English) title cards of a couple of Japanese silent films (when doing detailed analyses). And simply doing this took a lot more time than I anticipated. I finally came across an english sub today – torrent link here. The quality of the subtitling is terrible, though. The translation seems fine, but the formatting is bad. I played around with VLC and changed the font, color, size, etc., and it was readable, although there were still some problems with wrapping long lines of text. The movie itself is amazing. Hopefully somebody will put out a better effort at subbing it soon. Yup, I just watched the film last night; it’s an excellent film! I did say that I preferred _The Girl Who Leapt Through Time_ over any Ghibli film on my blog, but now that I think about it, I might have to rewatch _Spirited Away_ again. Oh, I’ll also will be rewatching this one again. About the subtitles, I didn’t have the same issues with the fonts (Using Media Player Classic in Windows XP Home). They looked fine and were well placed for me. Nick — Have you seen “Only Yesterday”? 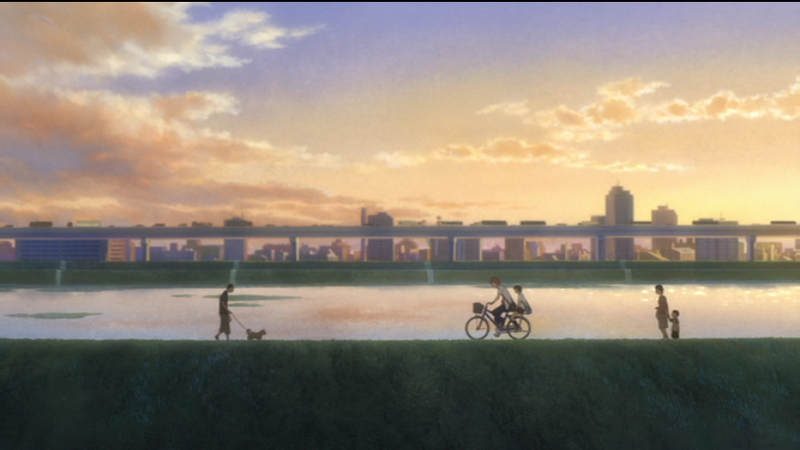 In some ways (albeit not in others), this is the closest Ghibli analog to TGWLTT. We just got the unsubbed DVD. Only peeked at bits of it so far. We’ll all watch it sometime this weekend. Oh, sorry for the late reply, but no, I haven’t seen “Only Yesterday”. Need to put that in the “need to acquire and watch” list then. Nick, can you email me that subtitle file? I’ll put it online too – the more widespread, the better. Well, I do have a modified version of the subtitle file available here, but that’s actually from the MKV file that Astro linked to above. I only had to modify the margins to account of overscan issues on my housemate’s 46″ DLP TV. You should be able to see the results of those changes (and how the fonts looked) “here”:http://anime.nickistre.net/blog_entry/anime/2007/05/06/subtitle_adjustment_results. Also, there were some fonts included in that MKV file (which might be the problem with VLC not displaying them right. They looked ok in Media Player Classic. These fonts were Ace, Agenda, and Goulong, and they all should be available with the subtitle file “on this entry”:http://anime.nickistre.net/blog_entry/anime/2007/05/06/subtitle_adjustment_results. My anime club screened this last week, and I absolutely loved it. The art flowed smoothly and was very simple in contrast to some other artists, but it worked magic. Does anyone know where I could find the live-action? A friend of mine saw it a few years ago and suggested it to me, but I’d completely forgotten until I saw the animated movie. I haven’t tried looking for torrents yet, as I cannot download torrents here at school (but it’s finals week so that soon won’t be an issue), and I usually try to watch things on Veoh!.